Wood Flight Trays powered by The MRL Group specializes in creating sturdy and unique flight trays for many of our diverse clients. Flight trays can be made from acrylic, metal, or wood. We offer a variety of materials in order to meet your business’ needs. Our designing team works closely with our clients to create flight trays that are attention grabbing and increase brand awareness. Wood Flight Trays is a one stop shop for any kind of promotional item and we work with any budget. We are committed to meet and exceed any expectations. Contact us today for your next flight tray project! Present your craft whisky, craft beer, wine or other beverage products on a high quality flight tray custom made for your company. 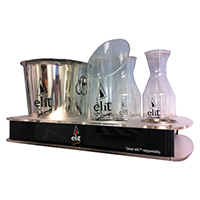 Wood Flight Trays powered by The MRL Group specializes in creating one-of-a-kind POS items that are specially designed to increase brand awareness. 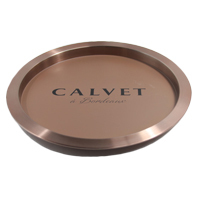 We offer a significant amount of wood, metal and acrylic flight trays that can be produced to any shape or size. Wood Flight Trays powered by The MRL Group is a leading promotional advertising agency that designs and manufactures flight trays all at competitive prices. Contact Wood Flight Trays powered by The MRL Group today for a flight tray that will increase brand recognition.